Once an upstart with its self-service, low-priced footwear retail concept, Payless ShoeSource has struggled of late. But even before the retailer filed for bankruptcy protection earlier this year and announced the closure of up to 22 stores in New York City, an unlikely savior had swooped in: urgent care. As landlords face rising vacancy rates across the city, urgent-care centers are eagerly snapping up space abandoned by foundering retailers. The largest local player is CityMD, with 21 walk-in health clinics in Manhattan and 25 more throughout the city. CityMD has signed leases at six former Payless stores in the city. "With the depressed market we're in, CityMD is taking a lot of space that a bank would have taken in 2006," said Benjamin Birnbaum, executive managing director at Newmark Knight Frank, who represents CityMD in all its leasing deals. Since its inception in 2010, CityMD has grown to 82 clinics in three states, attracting customers with the promise of quick and convenient care from emergency room–trained physicians. "It's a function of meeting consumer demand," said Dr. Nedal Shami, chief strategy officer. "Ten years ago you had the emergency department as option one and primary care as option two." Urgent care, he said, is answering the need for a middle option. Private-equity firm Warburg Pincus bought a majority stake in the company in April in a deal Reuters said valued the urgent-care chain at $600 million. 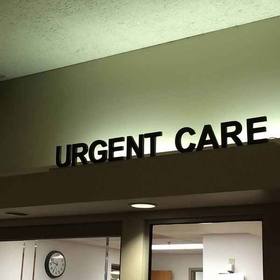 There are about 500 urgent-care centers statewide, with more than 190 in the city as of April, according to the Urgent Care Association of America. These clinics' demand for space is welcome in a sluggish retail market. In Manhattan asking rents have declined in three-quarters of the areas tracked by CBRE, according to its third-quarter market report, released in October. "When I started working with them, medical as a retail use wasn't at the front of a landlord's mind," Birnbaum said. "My job of finding landlords and convincing them of the CityMD story has only become easier each year." While they will not help landlords fill up a shuttered department store, urgent-care chains have showed a voracious appetite for storefronts in highly visible spaces. CityMD is looking to add space in commercial districts near transportation hubs. A new location is slated to open at 5 Penn Plaza early next month. And the company shows no signs of slowing its pace of expansion. It prizes storefronts where potential patients will pass by its neon red sign twice a day as they go to and from work, school or the gym. The chain looks for about 30 feet of frontage and corner locations, but it often settles for midblock sites in Manhattan, Birnbaum said. Shami declined to discuss leasing details, and the company doesn't disclose revenue. But he said most of its clinics occupy about 3,000 square feet on average and see 50 to 100 patients a day. CityMD's competitors have also scooped up retail locations. GoHealth has 15 outposts in the city, while ProHealth Care has 17. Retail broker Michael Stone, executive director in Colliers International's New York retail group, has been working with GoHealth, a private-equity-backed chain based in Atlanta, since 2014. That year the company started its joint venture with Northwell Health, New York's largest health system, to open clinics throughout the region. At GoHealth's first location, in Forest Hills, Queens, the company took more than 2,500 square feet from Apple Bank, which was cutting its square footage in half. And when Apple Bank downsized at First Avenue and 81st Street in Manhattan, GoHealth took over that space too. "We've replaced Payless stores, RadioShacks, local and general retail," Stone said. "Those are tenants replaced by the next generation." While equating health care with retail may seem odd, he said that GoHealth looks for a lot of the same qualities in prospective locations as other clients do. The chain likes to locate its centers near supermarkets, subway stations and drugstores. "Urgent care is trying to bring health care accessibility to customers where they live their lives," he said. "It's not that dissimilar from a Starbucks." "Urgent care is latest retail prescription for landlords" originally appeared in Crain's New York Business.